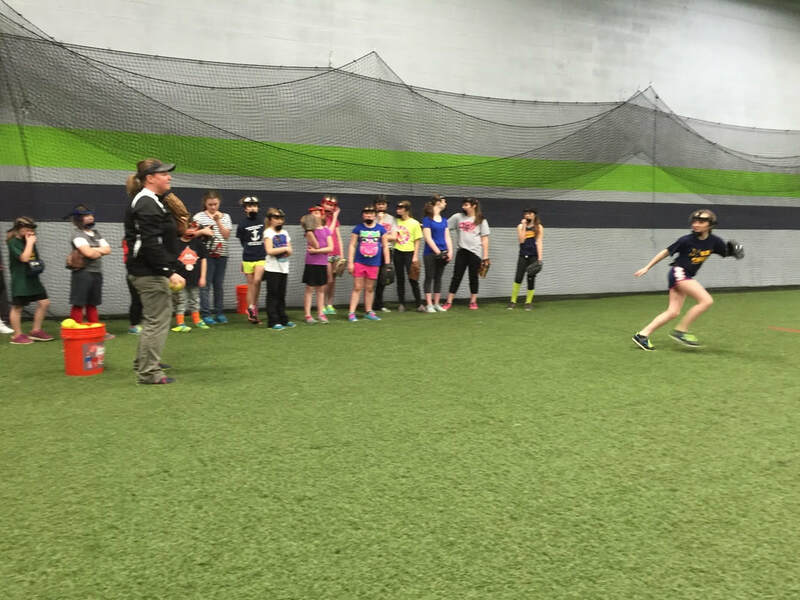 Our first free softball clinic was held on Sunday, March 29th from 4-7 at Earn it Athletic Academy in Euclid, Ohio. The clinic was held for 8-12 year old rec and CYO players in the Cleveland area. The purpose of SIS clinics is to help rec players increase their skills and knowledge of the game so they are able to compete at a higher level. This should, in turn, make the game more enjoyable and result in more players who "Stay in Softball". Through our used equipment donation program, we were also able to give used equipment to all participants who did not have their own. All participants also received a free bag with a regulation softball, a SoftHit practice softball, SIS tattoos and SIS stickers. ​The clinic was coached by coaches Dave Kelm and Ronnie Titus from Valley Extreme and Tom VanKirk from the Outlaws who all donated their time. Players from Valley Extreme, the Outlaws and Lasers Orange also assisted with demonstrating drills and skills and running stations. The player-coaches were: Emily Darlington, Caitlyn Kelm, Meghan McKeogh, Sydney Monroe, Kaitlyn Sciortino and Beady Titus (Valley Extreme), Madi VanKirk and Diane Salinas (Outlaws) and Riley Frizell (Lasers).